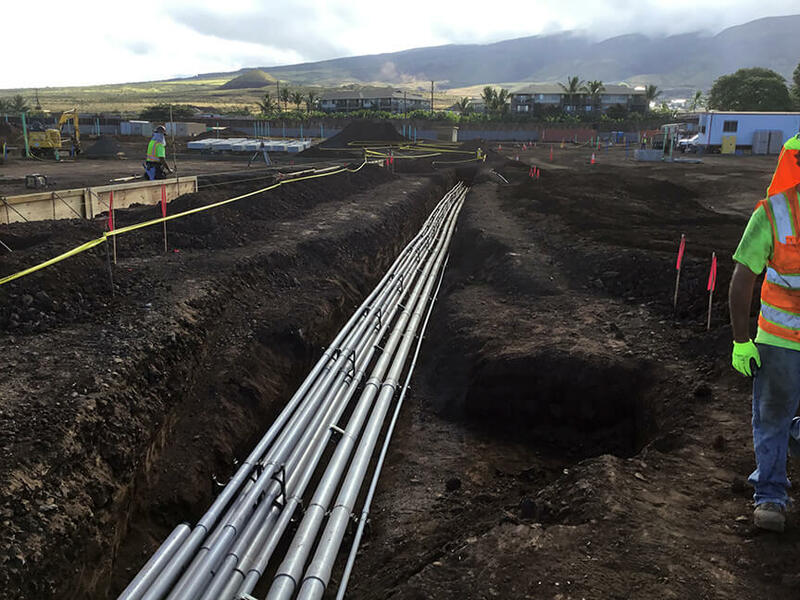 Building Affordable Housing in West Maui — Goodfellow Bros.
GBI was contracted by SCD Kahoma LLC and started work in November 2016. The contract amount for this job is $13.7 million and the projected completion date for GBI’s portion of the project is December 2017. GBI’s scope of work on this project includes: mass grading, including the import of 40,000 CY of select fill material; drainage installation, including 7 EA underground detention systems; 10,000 LF of sewer (3,000 of which is in groundwater); 6,000 LF water line; 40,000 LF of electrical, telephone, cable conduit installations; concrete flatwork, including 14,000 LF of curbs; and 52,000 SY of concrete sidewalks and driveways. 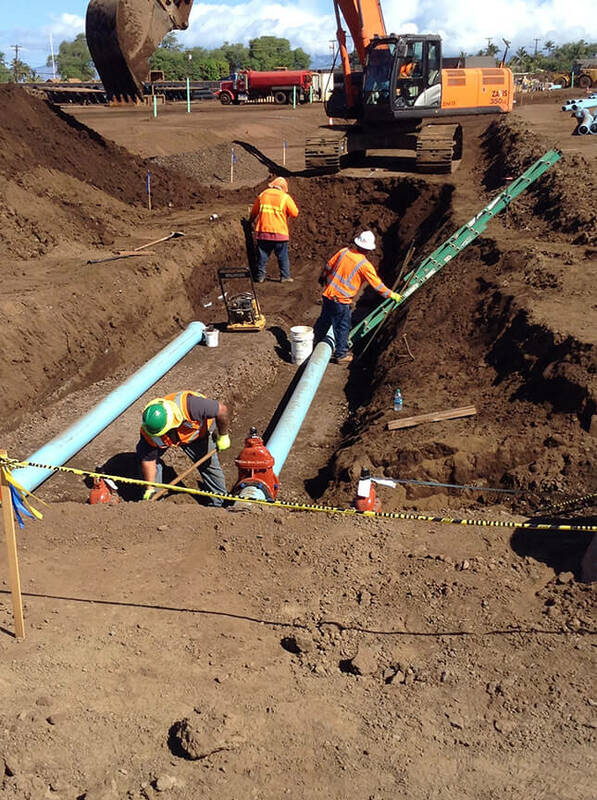 A 12-month accelerated civil schedule and more than 60,000 man-hours of self-performed work. The building contractor starting five months into project before the underground work was completed. This required diligent coordination with the building contractor, who is under a separate general contract. Design changes mid-project due to the discrepancy of a topo-survey used as the basis of original design. Revised building pad elevations, additional drainage and retaining walls for site had to match existing condition. 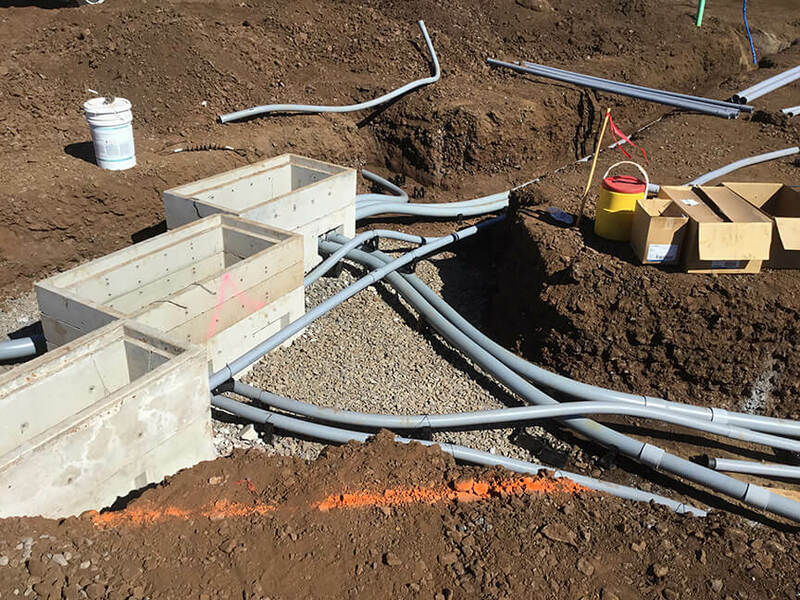 A tight project footprint of 203 units within 21 acres caused challenges with utility and drainage clearances, as well as building setbacks to new infrastructure. An overall flat site, as well as strict tolerance on sewer, drain and roadway slopes (<.5%). Close proximity of the site to groundwater. Saturated, low bearing capacity soils; over excavation where required, moisture conditioning (i.e., drying in beds) and mixing of in-situ soils with import granular material necessary to achieve adequate compaction and design strength. This project has definitely kept the crew busy and good weather has allowed us to remain on task. 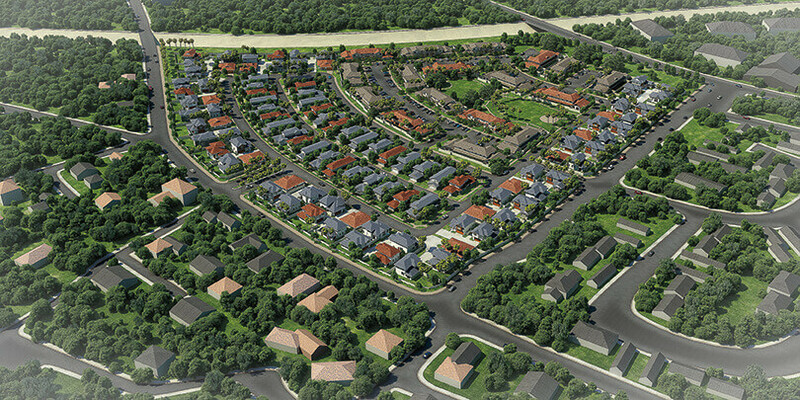 GBI is proud to be involved in a project that will contribute to the much-needed affordable housing market on Maui and provide an opportunity for residents to realize their dream of becoming a homeowner.